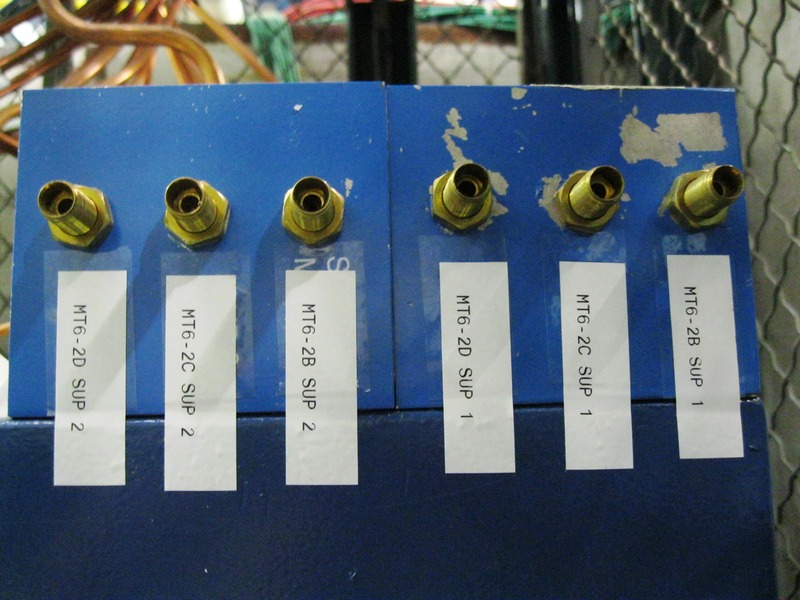 MTest is outfitted with a gas patch panel system that delivers gas to 6 locations, 2 of which have flammable gas capabilities. 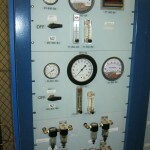 Some gases, like Nitrogen, are provided by the facility. 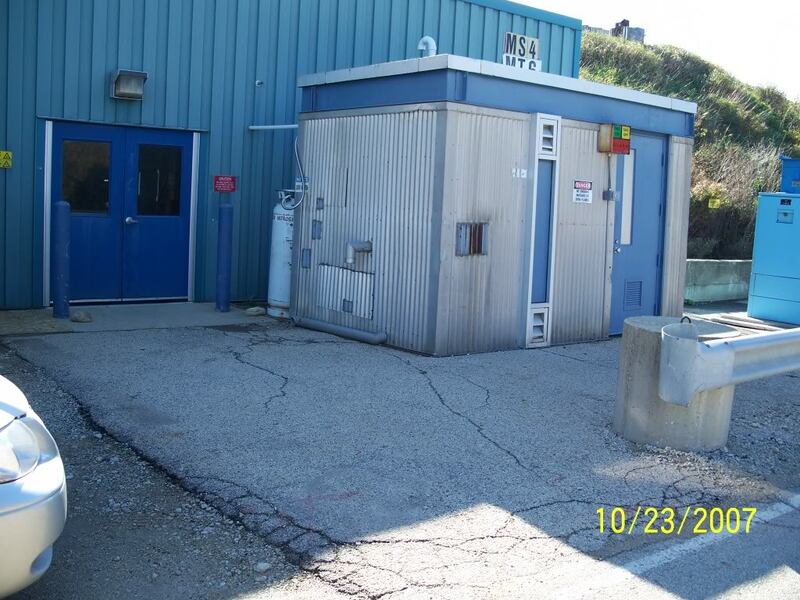 Most, including anything needing a permit such as flammable, VOM, or green house gases, have to be ordered from BSS Property & Inventory control, Supply Office, 630-840-3808. Gas bottles have different CGA fittings. It’s a safety feature so that air isn’t replaced by nitrogen, or nitrogen is not replaced by flammable gas, etc. 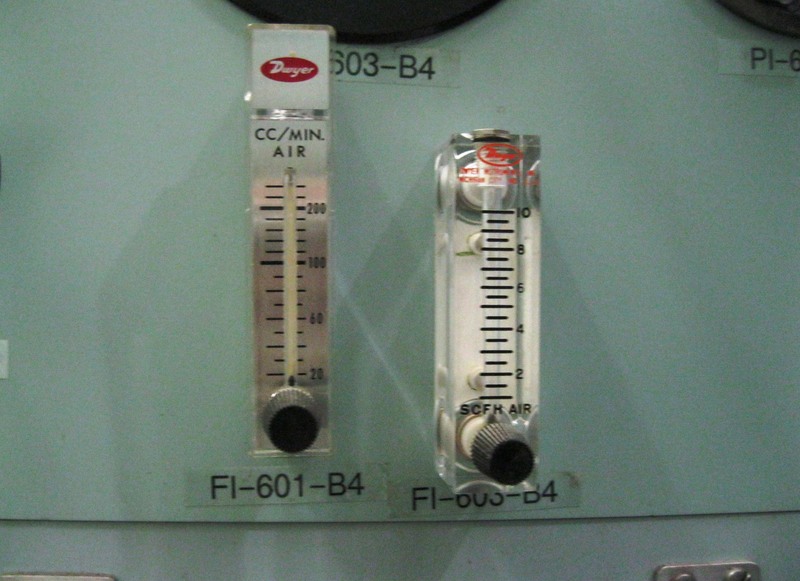 Fermilab can supply CGA fittings for common gases, like air, CO2, or nitrogen, but for something exotic like C4F8O, the experimenter should purchase a CGA fitting along with the gas and the appropriate regulator. 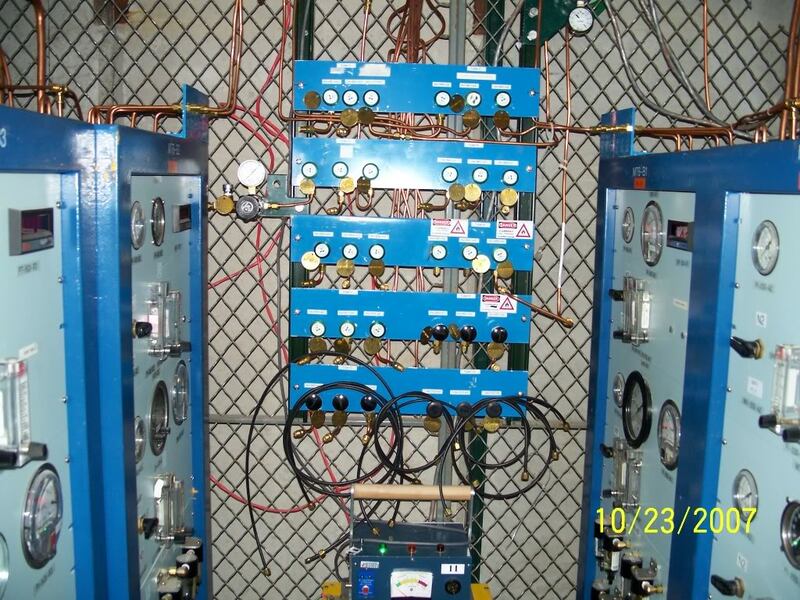 Located in each experiment area (MT6.1A, MT6.2B, etc) is a gas panel with two supply lines (supply 1, & supply 2) and two corresponding return lines. Some areas also have a flammable supply and return. 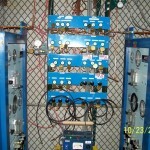 Only authorized personnel should attempt to connect gas to a designated panel. Training is required. Inside the gas shed, note the tube number associated with your gas bottle.Only authorized personnel are allowed to transport gas bottles, or connect them inside the gas shed. Be sure the bottle is labeled and all the valves are open. Be Patient! Gas lines are very long. If you close the bottle, it may take a few minutes for the pressure to go down. 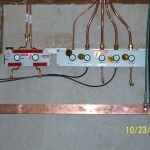 In the enclosure, find the panel closest to the apparatus you wish to connect to gas. 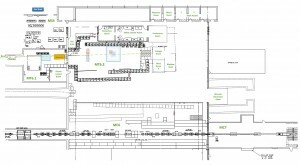 Note the area (2A, 2B, etc.) and the supply, 1 or 2. 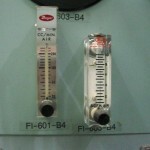 Connect the supply directly to the return and open the valves. Go to the Gas Switchboard Area, south of the MT6.2 enclosure entrance, find the tube number which corresponds to to your gas bottle in the shed. Connect this spigot to the spigot that corresponds to the area where you want to use the gas. Make sure the valve on the switch board is open. 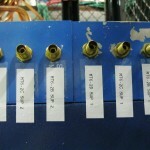 Find the corresponding control board. 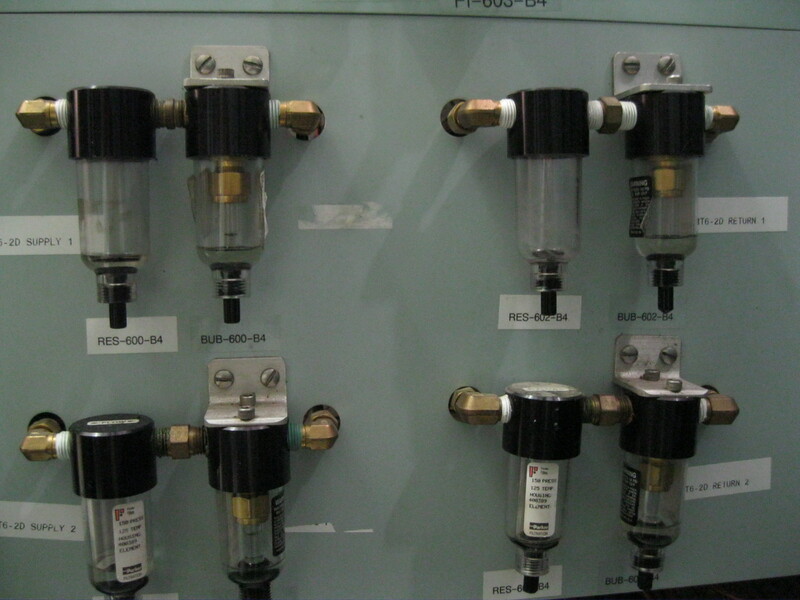 Switch on gas and adjust the back pressure such that one can see bubbles in the supply indicator. 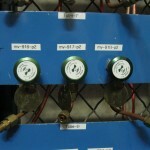 For house Nitrogen, place the switch in the vertical up position. Please be patient. Gas lines are very long, it might take a few minutes for the pressure to change after an adjustment. Now adjust the back pressure until there are bubbles in the return, but not the supply. 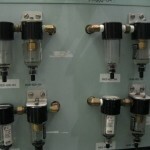 Any gas bubbling in the supply tube is not making it to the experiment. 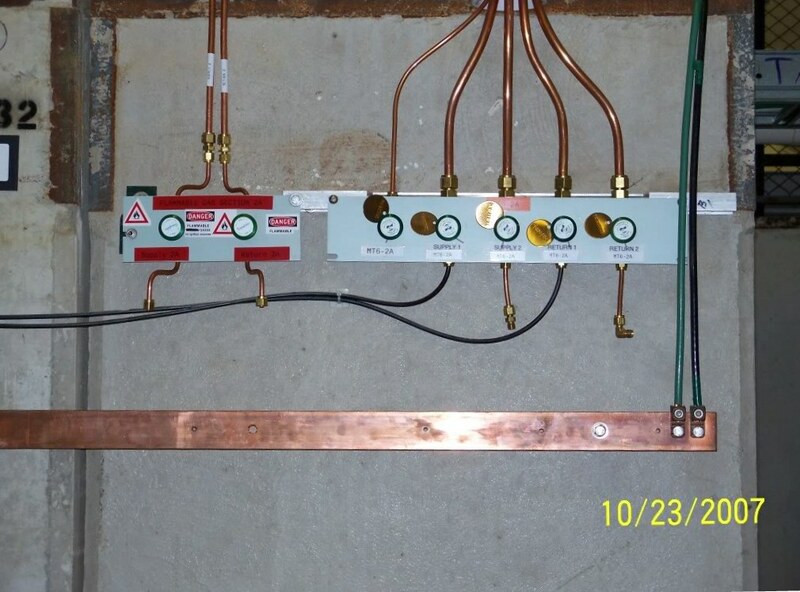 Go back to the panel and connect the supply and return lines to the apparatus. 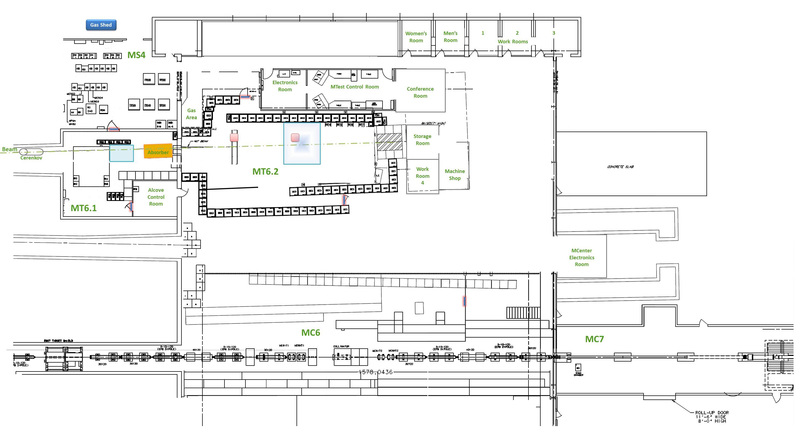 The gas shed is located outside the MS4 building to the very south west corner of Meson Detector Building. Gas bottles are stored right next to the shed (to the south, not visible in this picture) in a fenced in area. This is also where ordered bottles will be delivered, and empty bottles will be picked up. 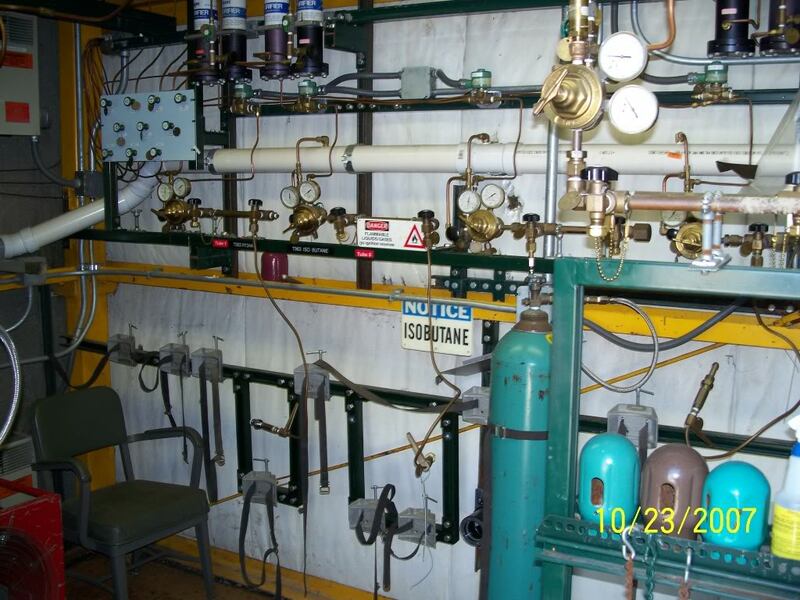 Some FTBF detector systems and operations utilize compressed gases and pressure vessels that may become hazardous if ruptured or handled improperly. 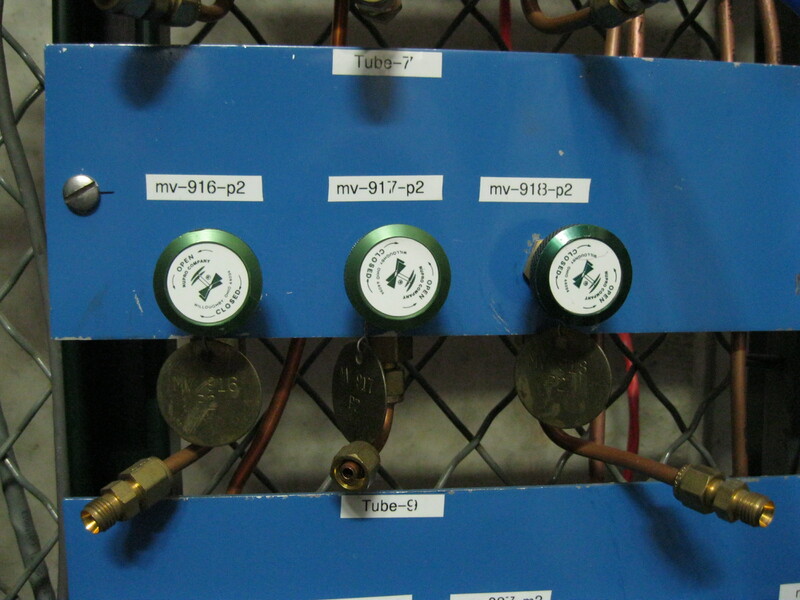 All gas cylinders must be properly regulated while in use and capped while stored. They also must remain protected from falling down at all times, for example by securing them to a storage rack or other solid object. 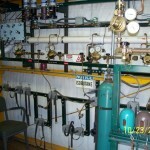 Only trained personnel should handle compressed gases. 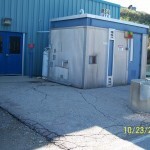 You can find the Fermilab Compressed Gas Training here. 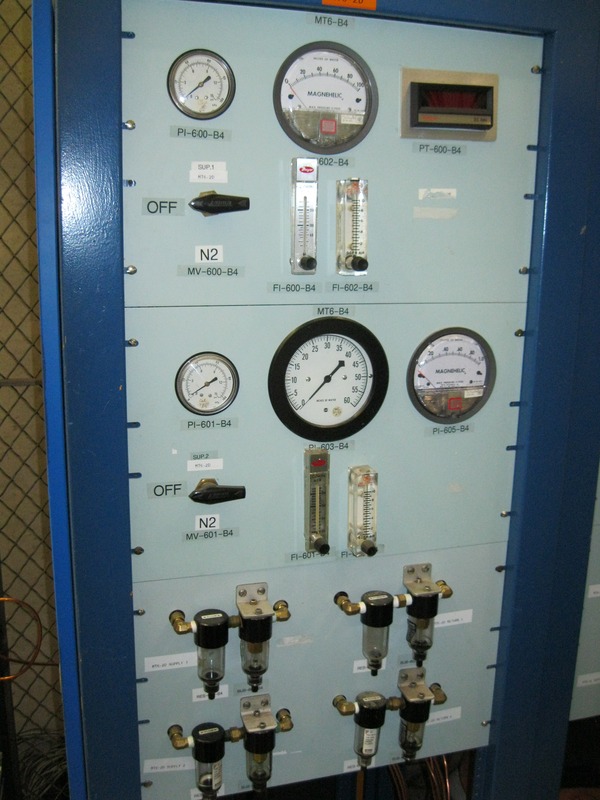 Additional requirements and procedures regarding compressed gas systems and pressure vessels can be found in Chapter 5031 of the Fermilab ES&H Manual. FESHM Chapter 6020.3 outlines the requirements for use of flammable gases.